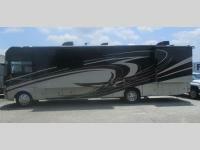 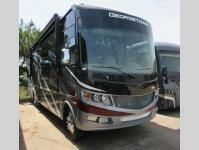 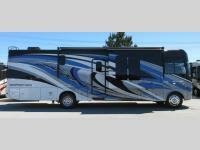 For your next camping trip, whether near or far, you will want this spacious triple-slide Georgetown XL Class A gas motorhome by Forest River. 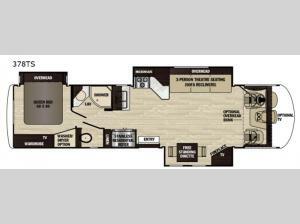 Once you reach your destination, you can relax in the living area where you will find a three-person theatre seat, a 50" LED TV, and a fireplace. The private bedroom has a queen-size bed, a large wardrobe, and you can choose to add an optional washer and dryer.